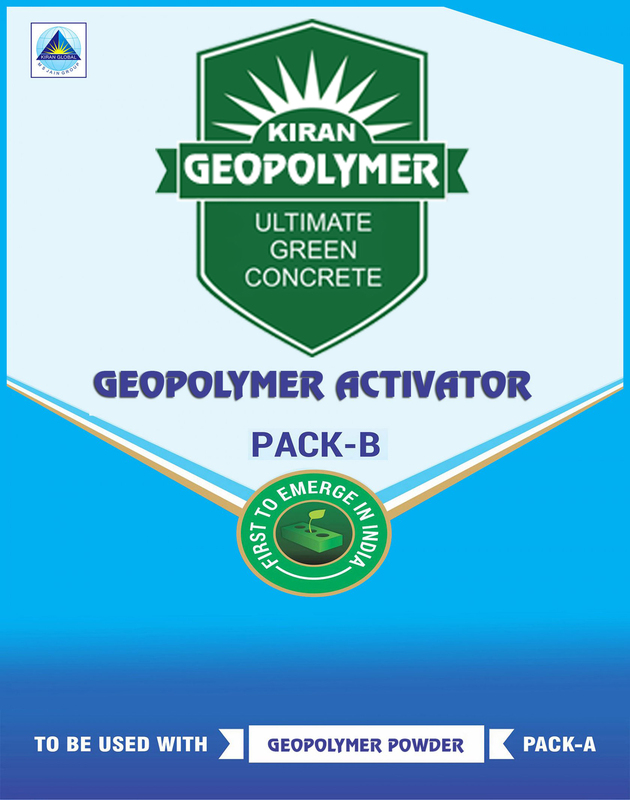 The Geopolymer activator is the critical ingredient of the Geocement chemistry which has been perfected by KIRAN GLOBAL over several years of research and special binders for the construction requirements in the last 3 years. The company is equipped with full-fledged testing and development labs with qualified doctorates heading the research activity. Kiran Global Geocement would help in enhancing the Green rating of the buildings and many a times can qualify for the next level upgradation.